Vault of Midnight presents Riki-Oh: The Story of Ricky [and also a very special holiday Vault of Trashmas] at POP + Offworld on December 19th, 2018. Ricky, a young man with superhuman strength is incarcerated at a prison that’s run by corrupt officials. He seeks to use his martial arts to clean up… and take out the trash. 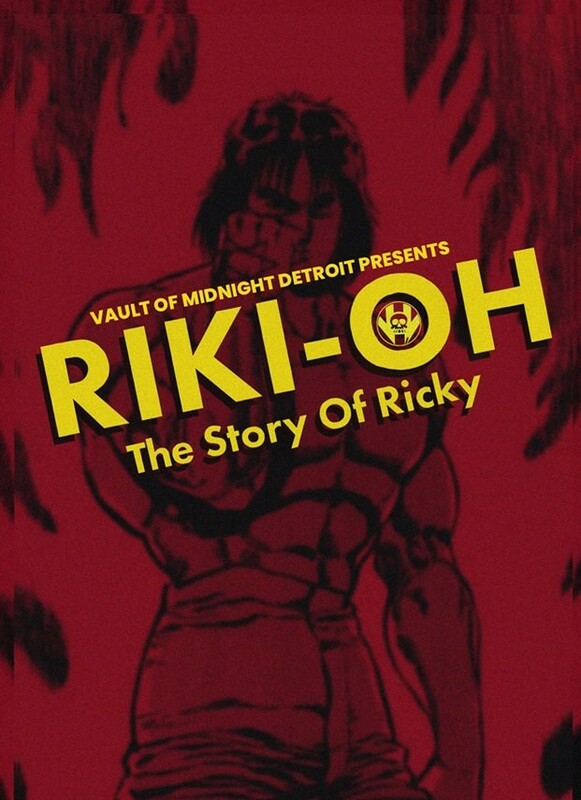 If you've never seen Riki-Oh: The Story of Ricky, now is your chance to see it FOR FREE! That's not all! Did you miss out on our Vault of Trash extravaganza over the summer? Before our feature, we will show the REDUX CUT of Vault of Trash! We'll also be showing a bonus Vault of Trashmas holiday short! And while you're there don't forget to enjoy POP + Offworld's wicked awesome arcade games [which are free during intermission] and their tasty pizza slices! This film is rated R and this is a 21+ event. Don't forget that Vault of Midnight validates parking at Z Parking Garage for up to two hours with any purchase!